Futurama and Kidrobot are teaming up again for some new collectibles. 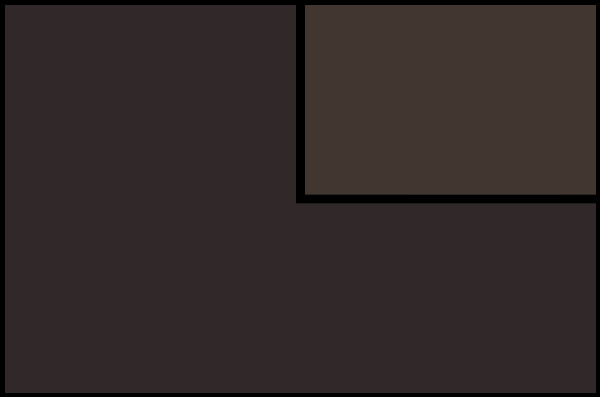 Available now, there are blind box keychains of some fan-favorites (Nibbler in a spacesuit!) 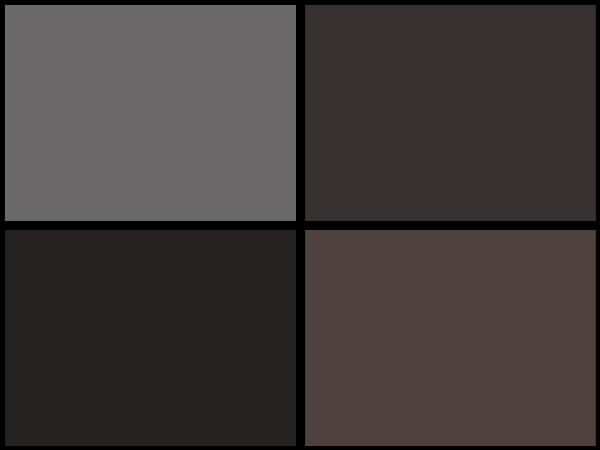 and two different versions of Robot Santa: a naughty and a nice edition. 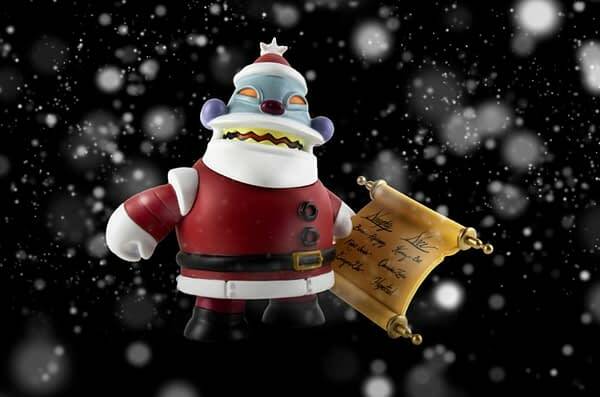 Those are limited though, so best to get your orders in now at the Kidrobot store. Check out all of the details and pics below! 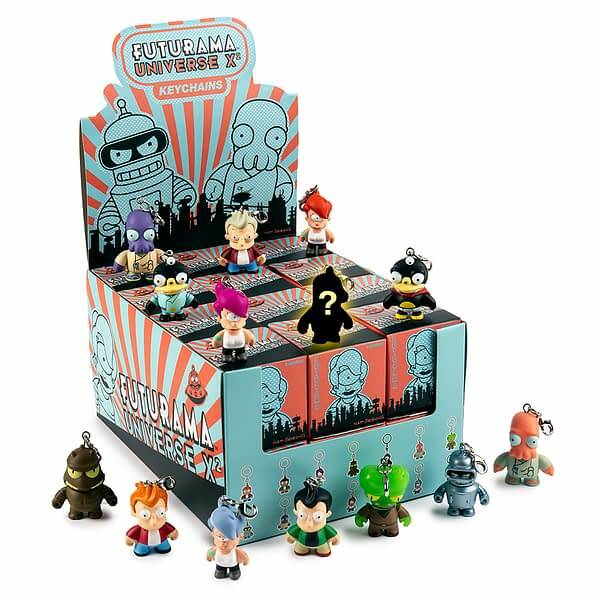 For the first time in 1.5 inches of high quality 3D vinyl, this new collectible Futurama Universe X2 Blind Box Keychain Series includes Universe X versions of Fry, Leela, Bender and Zoidberg as well as one very dapper Lord Nibbler. Each of the 14 keychains comes in a sealed foil bag and blind boxed to preserve the rarity, collectibility and surprise of each keychain unboxing. 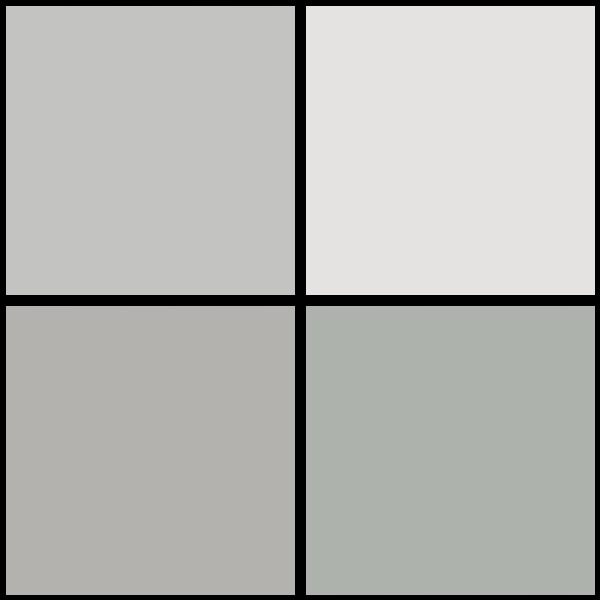 Even we don’t know what is in each blind box. Collect all 14 of these keychains today. Woop Woop Woop! 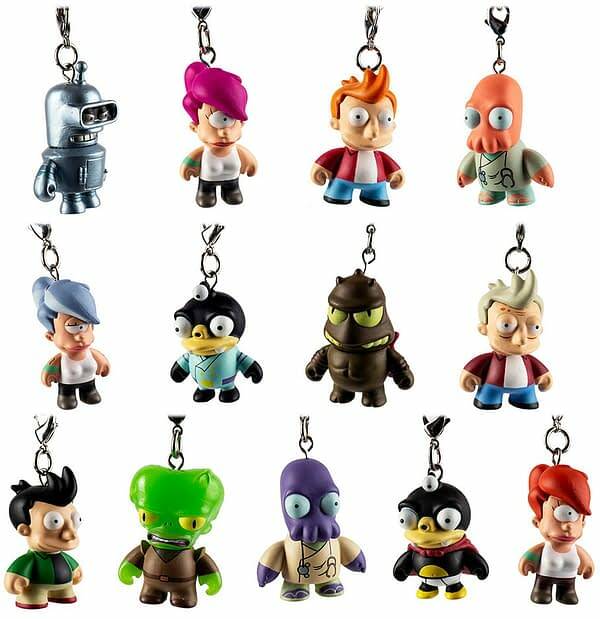 FUTURAMA UNIVERSE X2 KEYCHAINS RATIOS – Collect all 14 now! 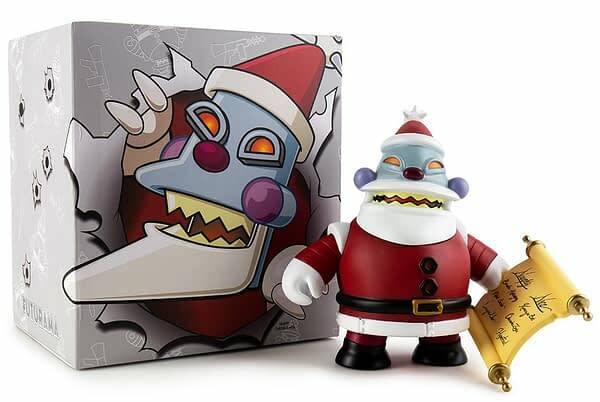 There is a chance that if he catches you after dark he’ll chop off your head and stuff your neck full of toys from his sack of horrors; but you’ll probably be fine… Kidrobot teams up with Futurama to ring in your holiday fears a little early this year, with this 6 inch tall high quality vinyl art figure of Robot Santa Claus. 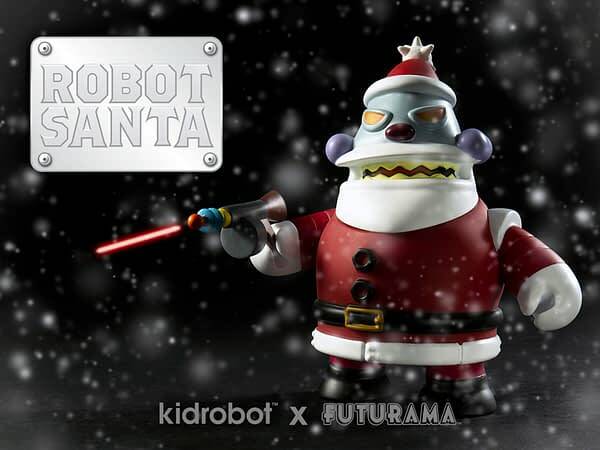 This nice version of Robot Santa checking his naughty list (at over 50 mega checks per second) and is about to get jolly on all our asses! 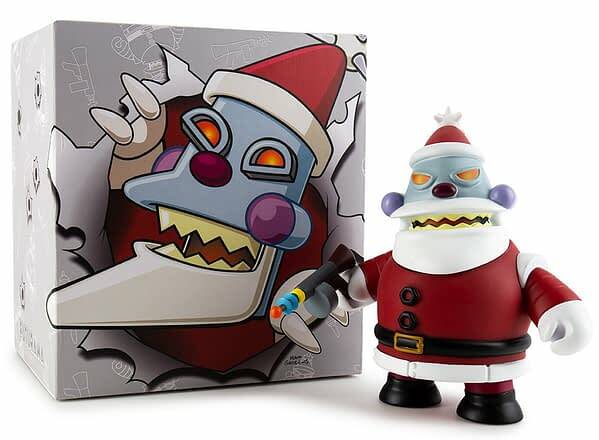 This year, you too, can be dreaming of a red Xmas with either the Robot Santa Claus “Naughty” Art Figure or ensure you are on the nice list with the Kidrobot.com exclusive Robot Santa Claus “Nice” Art Figure, limited to 500 units world-wide. Funko Round-Up: Alita, Game of Thrones, Cuphead, Star Wars, and More!